Loved those days of the basic phones with QWERTY keypads but cannot leave the current advantages of touchscreen smartphones either? Though today in 2017, you won't find any new releases of handsets with these features put together, a year back or so, they were there, which you can still use for your convenience apart from your current one. Here's a 'lookback' to those models which can still steal your heart. 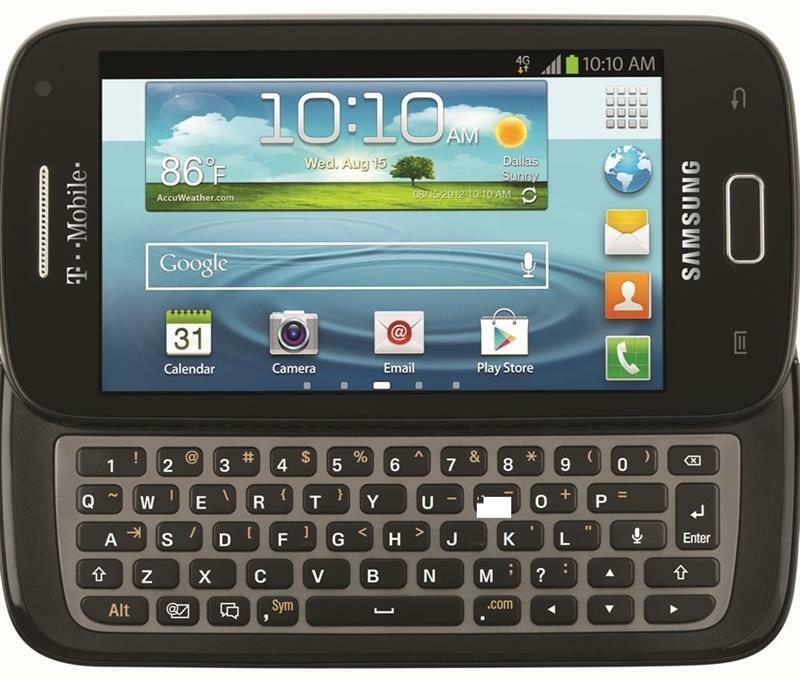 The concept of touchscreen smartphones having QWERTY keypads appeared to me quite like having the best of both. Today, when touchscreen is spreading its tentacles on every sphere of digital technology, and the existence of the old QWERTY keypad has taken a backseat, there are few people who understood the necessity and comfort of having those olden ways without compromising on the latest ones. And I am writing this article as I stand to be one among them. Here I have listed the top few models of Android smartphones which have beautifully accommodated the Qwerty keypad, and to me, they simply look elegant and useful. In this category the most appealing model that even got the best user rating and appreciation is undoubtedly from Blackberry, the company which you can blindly rely on for its quality, usability and of course the looks. 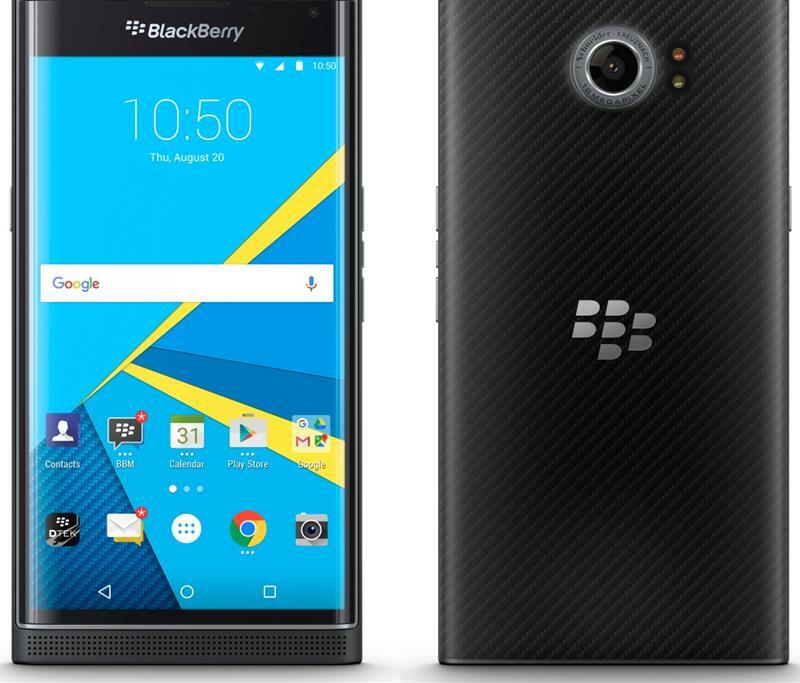 The latest Blackberry Priv has been built on Android Operating System with a lot more additional qualities and features. It has addressed 'Privacy and security' issue with top priority. The BlackBerry DETEK app in it is there to let you know the level of your security and the required steps to be taken to protect your phone and data. At the same time, they have heard the cry of users who are fed up with the delicacy of touchscreen models and provided them with a physical Qwerty keypad for that extra bit of comfort. It runs on Qualcomm 8992 Snapdragon 808 Hexa Core Processor, with Adreno 418 GPU for its graphics and this single SIM phone has got 3GB RAM, 32GB internal memory which can be expanded up to 2TB. The display is of 5.4 inch capacitive touchscreen with 2560 x 1440 pixels resolution and 540 ppi pixel density. Understanding the requirement of the users who could be a little bit old fashioned but might be interested in photography as a hobby, it gave quite a big scope for the primary camera of 18MP with all the standard features like auto and fast focus, LED flash, HDR, panorama. But it has cut short on the rear giving selfies very less importance and hence you get only 2MP for the front facing camera. The phone has a huge power backup of 3410mAH lithium-ion battery which can give away a talk-time of 23.9 hours and a standby time of 422.4 hours. This QWERTY keypad phone has a 3.1-inch super AMOLED multi-touch capacitive touchscreen with 720 x 720 pixel resolution that gives a 16M color support. The phone runs on 1.5GHz dual core Snapdragon S4 Plus processor. 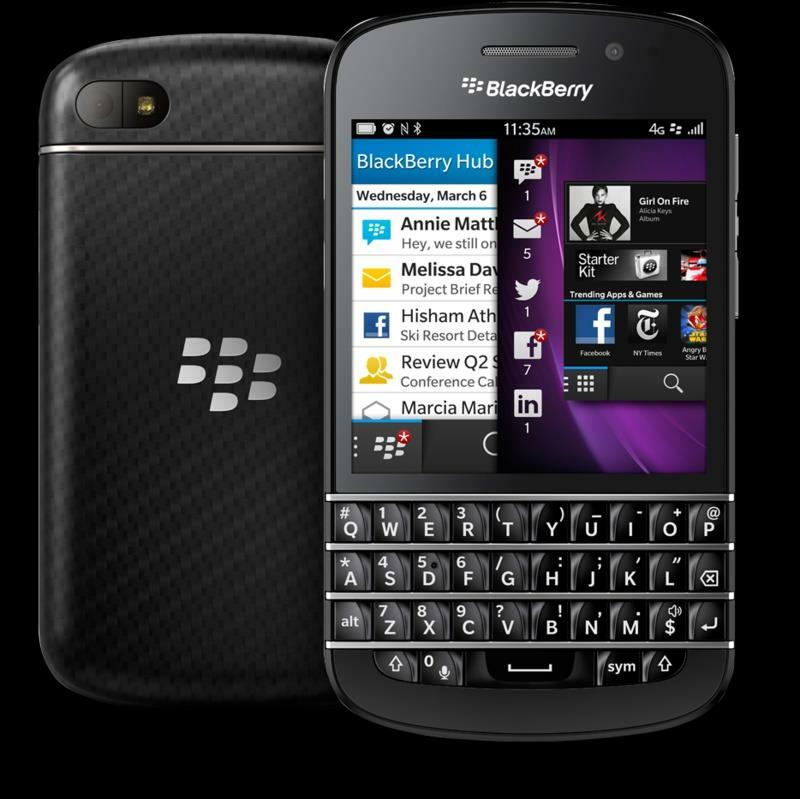 Based on Blackberry 10 Operating System it carries 2GB RAM and its 16GB internal memory can be expanded up to 32GB. The Battery capacity is a powerful 2100mAH providing a talk-time of 13 hours on 3G with a standby time of 355 hours on 3G networks. But the phone is 4G Data Capable. The phone comes with 8MP primary camera with features like, 5x digital zoom,1080 x 1920 HD video recording, sub flush camera lens, autofocus, time shift mode and 2MP front facing camera with which you can go for 720p video recording giving you 3x digital zoom. This model from Blackberry, unlike other models, doesn't come with their house colour black, rather it has a shining and elegant White colour, that makes it stand alone from its competitors. The Model E7 from Nokia has an impressive Dark Grey Colour which is a Slide, Touch and Qwerty smartphone running on Symbian Operating System which is upgradable Nokia Belle OS. The phone is powered by a 680 MHz ARM 11 CPU clubbed with Broadcom BCM2727 GPU. The phone comes with 256 MB RAM with an Internal 16 GB storage and 1 GB ROM. The Screen Size is 4 inches following the AMOLED Display Technology with 360 x 640-pixel resolution and has a Display Colour Depth of 24-bit (16.7M Colours) and it weighs around 175.77 g.
Coming to its Connectivity, the Wireless Interface includes Built-in Wireless, Bluetooth, WLAN 802.11b, WLAN 802.11g, WLAN 802.11n, USB and WiFi. It has a primary camera of 8.0 MP with features like, Auto Focus, Built-In Flash and Digital Zoom. Sensors include, Accelerometer, proximity and compass. The Battery is a Non-removable Li-Ion one with 1200 capacity that gives Talk time up to 9 hrs and Stand-by up to 432 hrs. Though an old version, this model reminds us of the usability of the earlier models from Nokia with its solid built and performance. 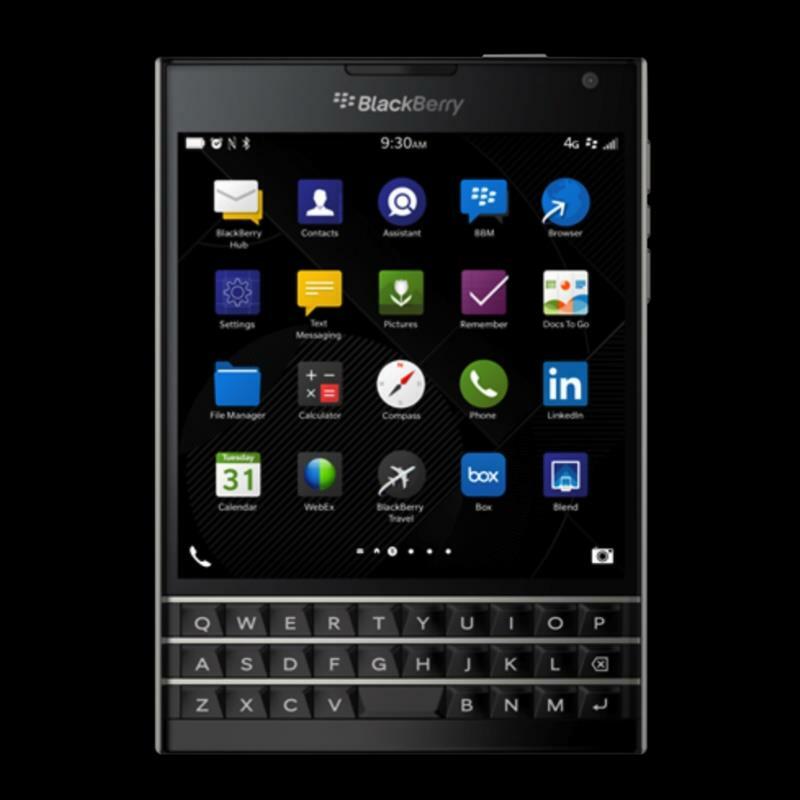 The Blackberry Passport Model made its round in markets quite well. 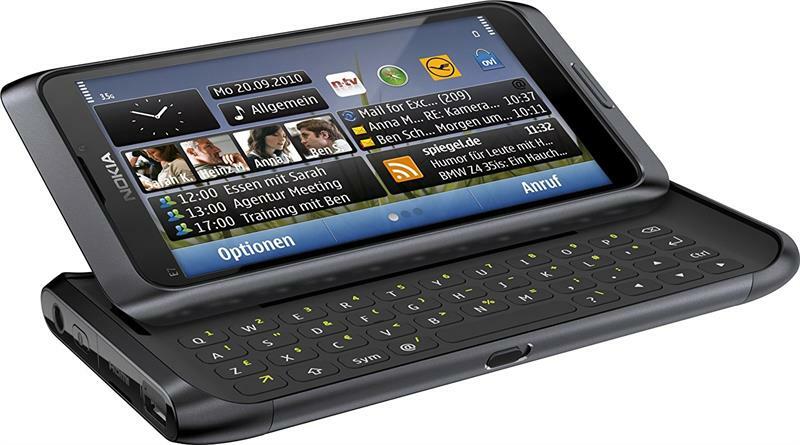 This Touch & Qwerty Style Smartphone was in its usual house Colour Black and BlackBerry OS with a 4.5 in. Screen Size of Capacitive touchscreen. The phone weighed around 195 g.
Passport came with 3 GB RAM with an Internal memory of 32 GB, which could be expanded up to 256 GB through a dedicated slot of microSD. Coming to the Camera, it had a Primary	of 13 MP with features like, autofocus, touch focus, f/2.0, 30mm, OIS, LED flash, Geo-tagging, face detection, HDR, panorama and more. It could shoot a video of 1080p@60fps. The Secondary one was of 2 MP with f/2.8, 28mm, 720p. The phone was backed up with a Non-removable Li-Ion 3450 mAh battery that could give a Talk time up to 18 h and a Stand-by time up to 432 hrs. It is a GSM / HSPA technology based phone that runs on Android OS, v4.0 (Ice Cream Sandwich) Operating System in which the Chipset is of Qualcomm MSM8960 Snapdragon S4 Plus. The CPU is that of Dual-core 1.5 GHz Krait clubbed with a GPU of Adreno 225. The phone carried a 1 GB RAM with 8 GB Internal storage which could be extended up to 32 GB through a microSD dedicated slot. The size of this model from Samsang was 4.96 x 2.60 x 0.53 inches weighing around 147 g with a super AMOLED capacitive touchscreen of 16M colors and a qwerty keyboard. The Size of the display was 4.0 inches with a Resolution of 480 x 800 pixels. The camera included a Primary one of 5 MP with autofocus, LED flash, Geo-tagging, touch focus, face detection and could shoot Videos of 720p@30fps. The Secondary one was of only 1.3MP. Sensors included Accelerometer, proximity, compass and gyro. The phone has a battery backup of a non-removable Li-Ion of 1800 mAh capacity with a Talk time Up to 10 h and a Stand-by up to 312 hrs. So, if this article made you cherish to have one from the list, you can still go for one, for your basic functionality and have a great user experience.